Whether you’re looking for laidback luxury or dreaming of adventure, Olivia Knight shares 10 new honeymoon trends for 2015 and a few great tips to help you travel in style – whatever your budget. More and more couples are realising that their honeymoon is a chance to have that ‘once in a lifetime’ experience. 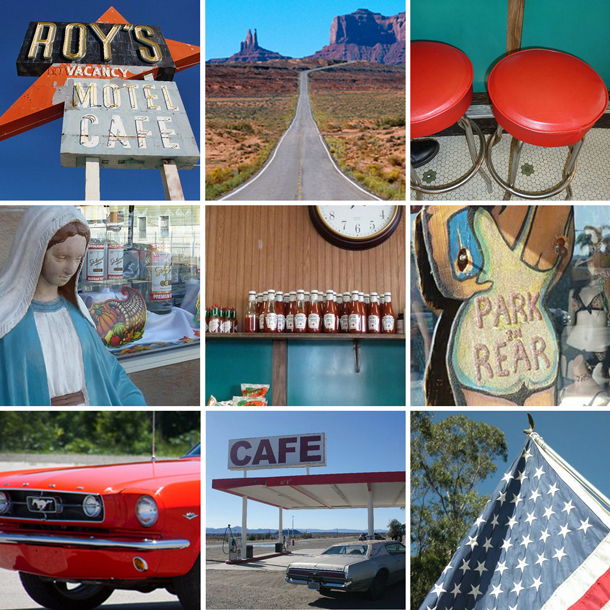 If you’re looking for an epic adventure get behind the wheel and follow the famous Route 66 from Chicago to LA. Blacktop Candy’s hire classic convertible cars and can help you plan your road trip. Just don’t forget to pack your sunnies, a headscarf and plenty of blankets for driving after dark. Whether it’s hipsters, the Tour de France or Boris bikes that are to blame, cycling holidays are now officially cool. So it’s no surprise we’re seeing trend-setting couples planning their honeymoons on two wheels too. 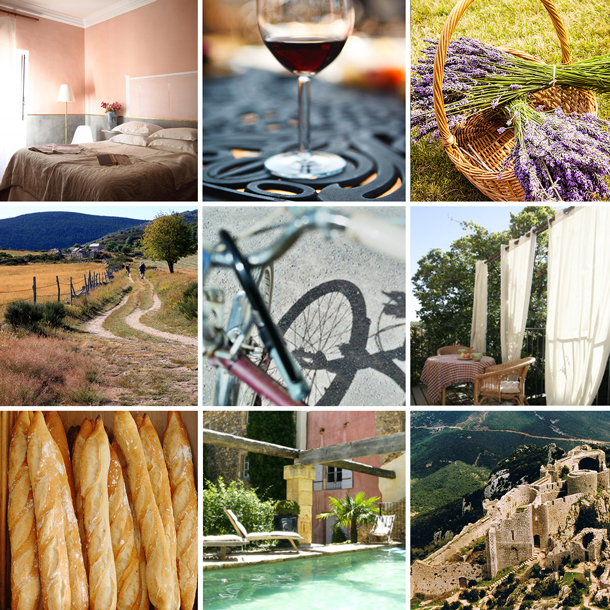 What could be more romantic than riding through the French countryside together – stopping for picnics under poplar trees, skinny dipping in crystal clear lakes and wine tasting in local vineyards. See Mr & Mrs Smith for places to stay along the way. Looking for a slice of paradise but don’t want to spend the whole time on the beach? 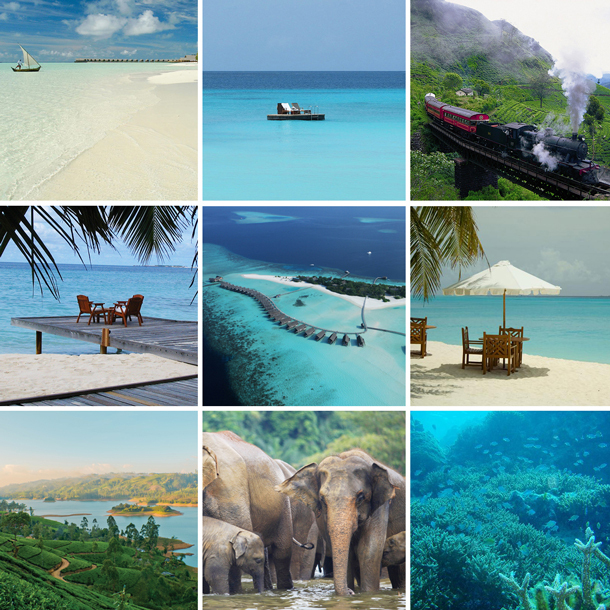 How about combining pure luxury in the Maldives with a short hop over to Sri Lanka to explore tea plantations, visit temples and go elephant trekking. Luxury travel company Black Tomato can plan every detail of your tailor-made trip. So all you need to do is sit back, relax and enjoy the journey. Sitting together in a tree house with a few monkeys for company. It’s a world away from the intensity of your wedding day and a brilliant chance to get some perspective. 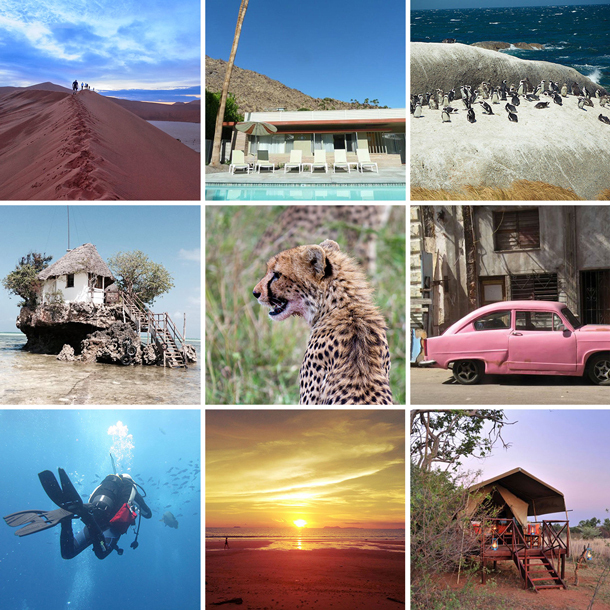 Ok so it’s not for everyone but eco honeymoons are a growing trend – a chance to get away from it all and experience another way of living in harmony with nature. 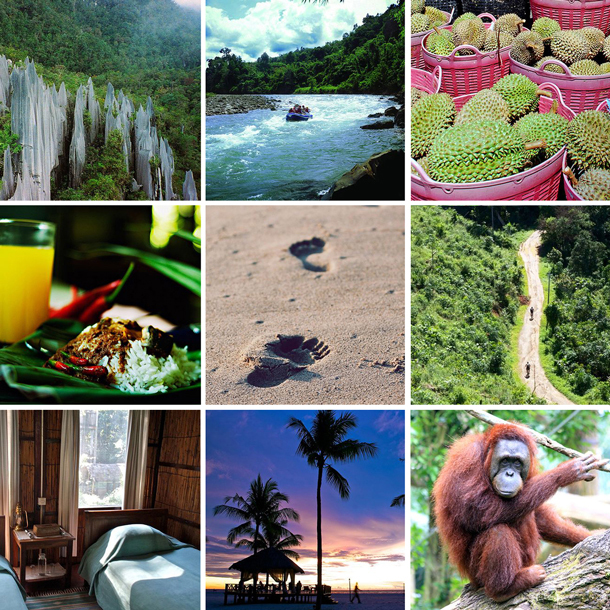 At the Borneo Nature Lodge you get to see wildlife quite literally on your doorstep and at the same time support essential conservation work. A do good, feel good honeymoon. 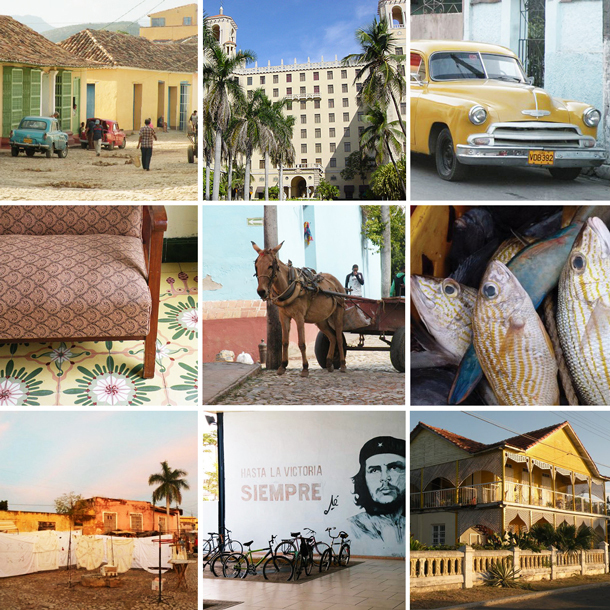 If you want to feel the faded glamour of 1950s Havana spend your first night at the Hotel Nacional. Then avoid all hotels for the rest of your trip. Offering clean rooms, simple food and stories of revolution, hardship and hope, you’ll get a more interesting and intimate experience staying with families who run Casa Particulars across the Island. No need to book in advance. Just grab your Lonely Planet and go. Want to avoid the come down after the wedding? 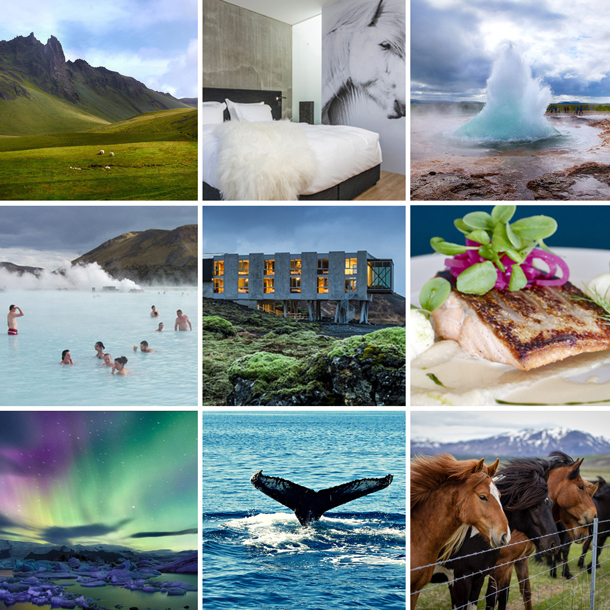 Hold on to that ‘top of the world’ feeling and head to Iceland for your honeymoon. Where to stay? The Ion Hotel for its Scandi-chic interior style and amazing views of the Thingvellir National Park. What to do? Glacier hiking, diving, horse riding, whale watching. How to relax? Thermal pools, spa treatments, cocktails in the Northern Lights bar watching geysers erupt by day and the Aurora Borealis by night. The best way to enjoy the dizzy heights of this incredible city is just to get drunk on love and sake and embrace the crazy clichés. 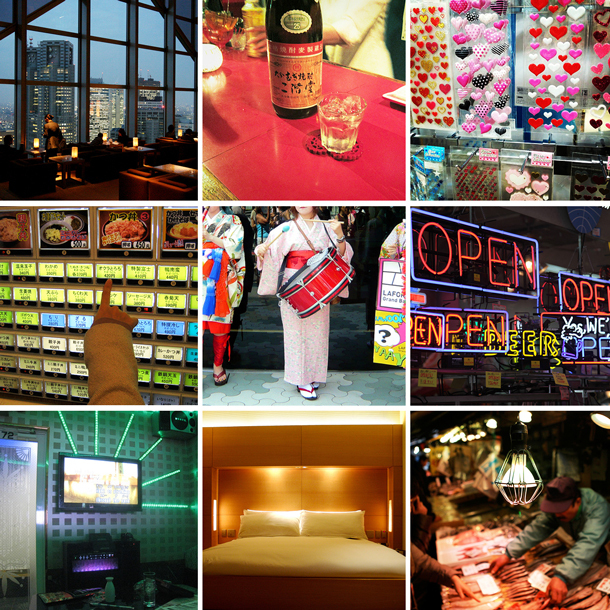 Stay in the Park Hyatt and recreate ‘that scene’ in the bar, eat dinner from a vending machine, hang out in Harajuku, sing karaoke duets, party all night in Golden Gai and eat sushi for breakfast in Tsukiji. Turns out watching the sunrise over a Fish Market at 4.30am is surprising romantic and raw tuna is an ace hangover cure. 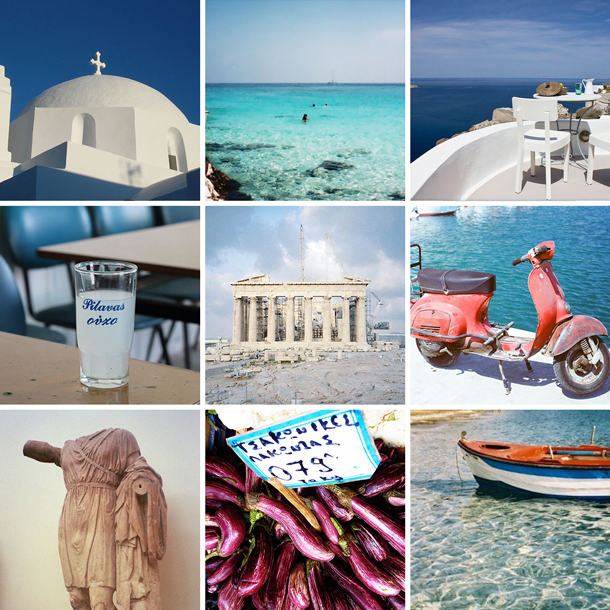 The best way to get to discover the unspoilt beauty of the Greek islands is to travel by boat, get around on a moped and live like a local – in one of the many amazing houses available to rent on Airbnb. Highlights? The beaches of Santorini, the traditional and picturesque village of Oia and the Spita retreat. Hanging on the cliff 150 meters above the sea this secluded and stylish ‘cave house’ has amazing views and a private outdoor whirlpool. Just add Ouzo. If you’re an adventurous kind of couple why not take the hassle out of planning your honeymoon altogether by letting someone else do it for you. Give Blind Experiences your budget, dates, a continent you’d like to explore and a few basic details about yourselves and they’ll organise a surprise honeymoon for you to discover on the day of departure. Bonkers brilliant. 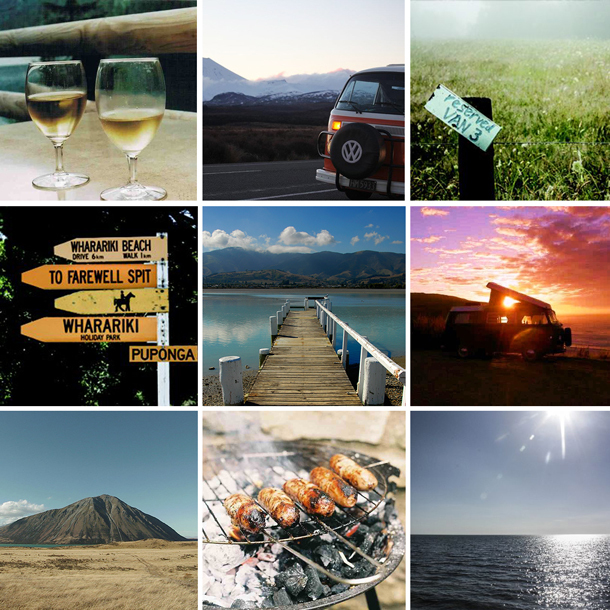 If you’re lucky enough to get the time off work, take a few weeks to travel around New Zealand in a vintage VW from Classic Campers. What could be more romantic? Just the two of you, pitching up wherever you fancy, cooking BBQs on the beach, drinking cold white wine as you watch the sun set over the sea and rise over the mountains. Peace and love. If this post has inspired you to make your own honeymoon patchwork just customise one of our readymades or create one from scratch.